DAVID-Laserscanner Forum • View topic - Dual Camera? I am also very interested in the dual camera progress, if there is any to report. i think the next big thing in DAVID Laserscanner should be calibration and scanning with multiple cameras. The market is a solution of the two cameras. David is now the program should be the reception of origin. Build a two-camera hardware and I look forward to the software. Would you recommend that projector? Any update on getting 2 cameras with DAVID? I'm hoping that the 2 cameras will limit the number of scans and any fringe data generated. Less scans, hopefully file sizes will be smaller by reducing duplicated points. I keep running into problems with fringe data by the "shadows" the one camera sees. I believe that I am losing detail on figurines that have small details or texture like furry. 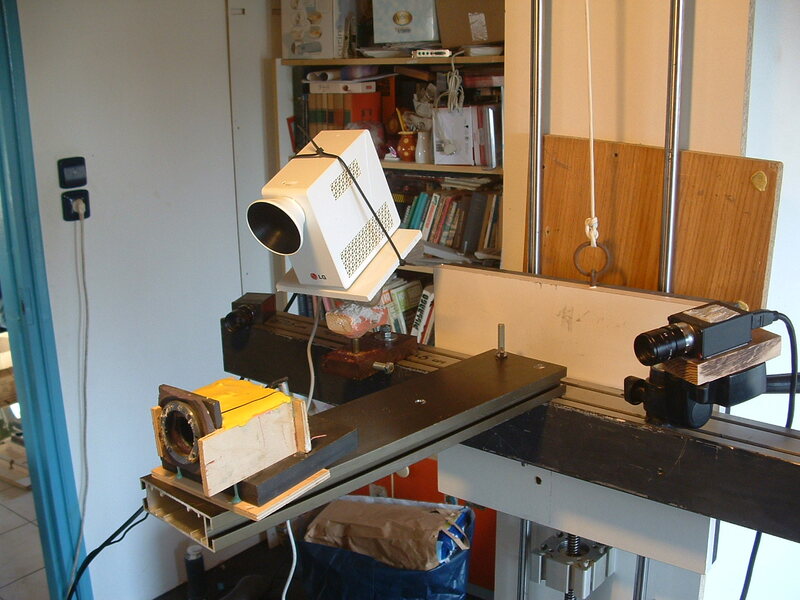 The setup with two cameras relevant for scanning flat parts. When using the turntable, two cameras are not actual. There is still a problem to calibrate both cameras at the same scale.